As a Universal Repository Manager, Artifactory supports all major package formats in common use today. That’s 23 (!) different formats, with more on the way. Being universal is great. It means that Artifactory fits in with virtually any development ecosystem. But this also comes with a cost. Each package format is constructed differently with its own set of important metadata, and it’s impossible for one common UI to be optimal for all formats. 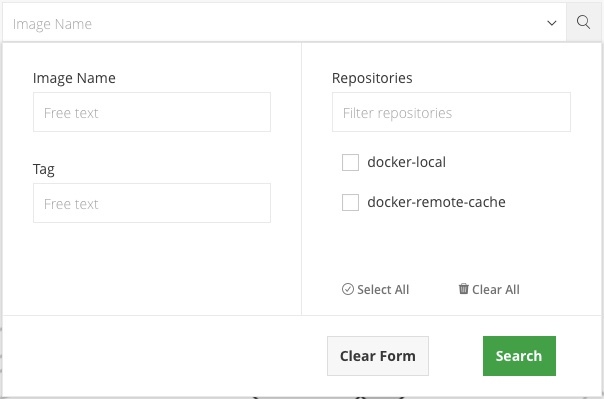 To make your Docker registries feel like home, we recently introduced the Package Viewer. 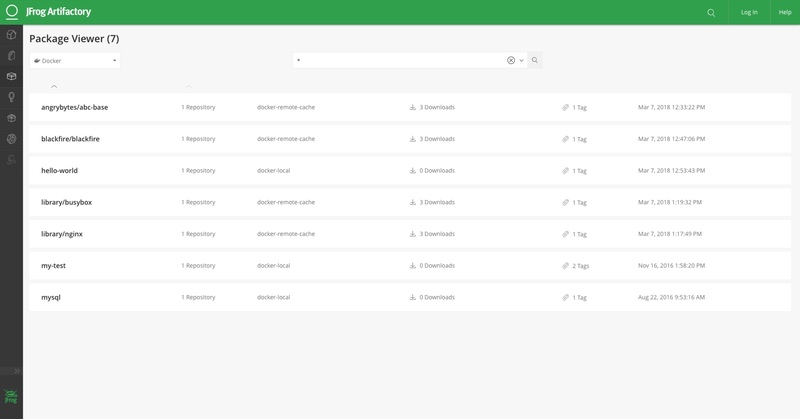 The Package Viewer customizes Package Search for Docker Registries letting you search for Docker images by name or tag and displays the search results using a package-native UI that emphasizes the most relevant metadata with the look and feel of a native Docker registry. First things first. You can do a quick and easy search by just entering the name of an image you’re looking for (hint: wildcards are allowed), or use a convenient dropdown for a more filtered and specific set of results. In addition to image names, you see in which repositories they can be found, how many times they have been downloaded, the number of tags…just like you would in a native Docker registry. The data presented makes it easy to select the most relevant image to drill down and get more information. You can even look into the details of a Docker image’s layers. This was an example for Docker, and support for additional package formats will be added in forthcoming releases. Eventually, all package formats supported by Artifactory will be available in the Package Viewer giving you a native UI to search for packages for any development environment you might be using. 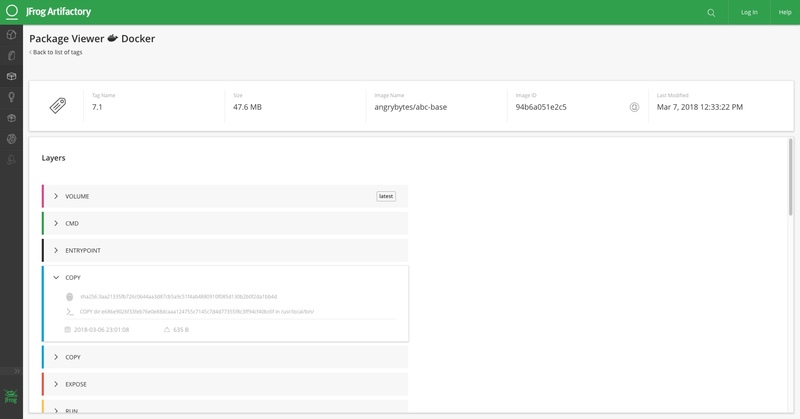 We will also be adding additional information, uniquely available to Artifactory, such as details and metadata about Docker images and other supported packages provided by JFrog Xray. Natives know best, and Artifactory has gone native with the new Package Viewer. All that’s left for you to do now is….